For UN´s International Happiness Day, I´d like to share with you this great infographic created by information designer Anna Vital. 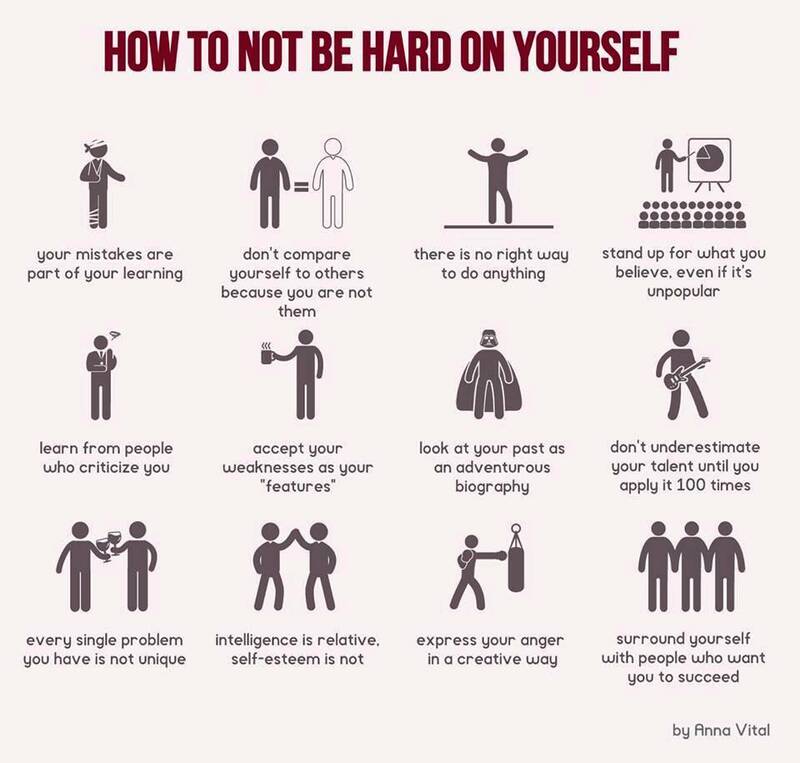 It´s a wonderful piece of advise on the art (and science) of self-compassion. Additionally, you might want to watch Kristin Neff´s TEDx talk on the same topic that you can find in my Positive Psychology TED suggestions. Enjoy! Every parent, every school teacher, every judge, every politician, every “social worker”, every law officer, and every body who interacts with children and challenged adults needs to know and apply this daily. Beautiful putting together words of my many thoughts for many years. Where can I get a copy of this poster? Pingback: How not to be Hard on Yourself | Bright, shiny objects!